The vines in the Valentina Passalacqua Winery are grown on white stone soil. 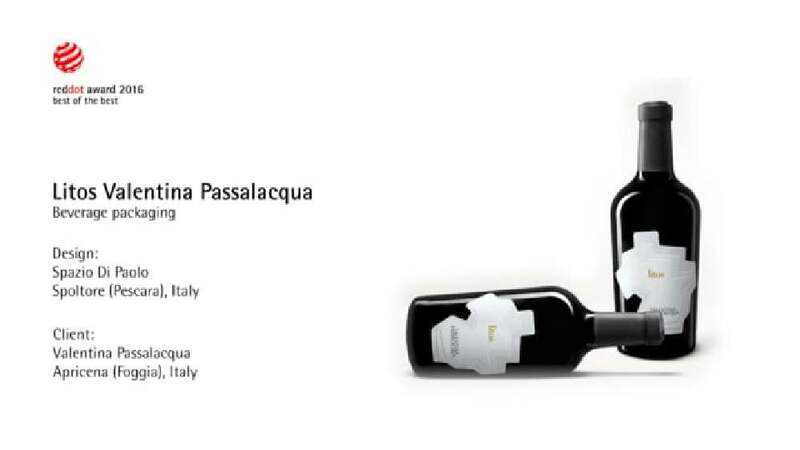 The wine is called “Litos”, derived from the Latin word for “stone”, in reference to the soil conditions of the land located in Apricena, in the region of Apulia, Italy. The wine, the fruits of which are a result of organic farming methods, is a completely natural product and expresses the characteristics of the rock layers in the soil. Serving as an inspiration, this “rock layering” was supposed to be reflected in the label with its three different types of natural paper in distinct shades of white, lending the label an original and sophisticated appeal. The unique concentric overlapping of the three labels was achieved through a specific automated production process and resulted in the creation of a three-layered, self-adhesive label made of different types of paper, which are attached to one another. This approach guarantees a production of labels that are not only identical but also minimalist in design, which immediately catches the eye. The label design of the Litos wine is truly outstanding. The idea of three layers of different papers, on the one hand, tangibly illustrates the natural multilayered soil on which the delicate vines grow. On the other hand, the idea implements a previously unseen approach that furthermore reflects the high quality of the wine in an elegant and striking way.